Following and practicing a path of conscious healing for over 20 years, Jennifer brings her own experiences of personal evolution and growth into her work. 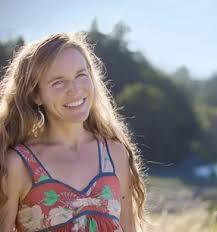 She is a Reiki Master and Teacher, Alchemical Healing Practitioner, Massage Therapist and Sound Healer. Rewrite old patterns and programs. Passionate about helping others through their own healing processes, her work is infused with compassion, love, and guidance from spirit. In her phone and online video sessions, she works intuitively, using Reiki and other energy healing techniques to scan the body and assess your needs. Moving into the space of the heart, she will guide you through a body-centered shamanic journey designed to unwind deep traumas and wounds as well as to uncover and rewrite old patterns and programs. Through these journeys, you will experience your own divine nature and rediscover your ability to heal yourself. You will also acquire tools which will help you in your daily life. This work facilitates healing on all levels; physically, emotionally and spiritually.